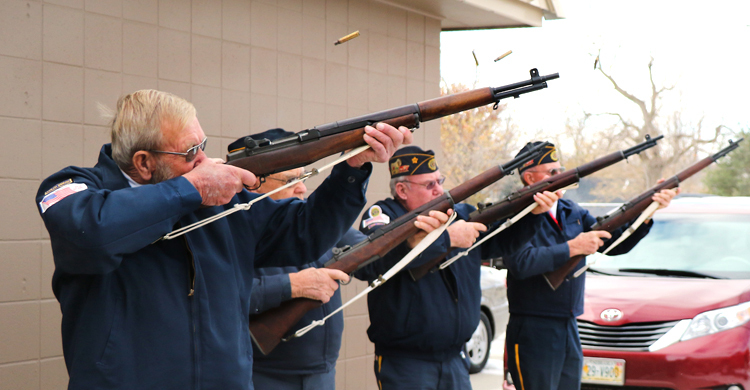 The annual Veterans Day ceremony scheduled to be held at Veterans Tribute Plaza was moved into the Blair American Legion hall due to the cold and blustery weather. 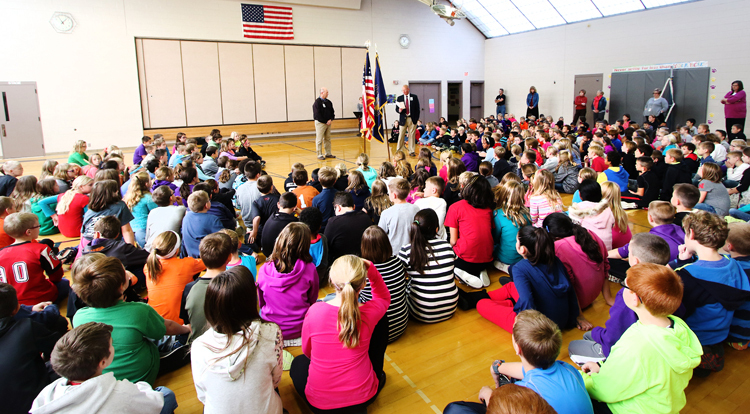 Arbor Park also commemorated the day and the hour with a school assembly. Held in the gymnasium. That event also originally was scheduled to be held around the flag pole outside, but was moved to the gym due to the weather conditions. 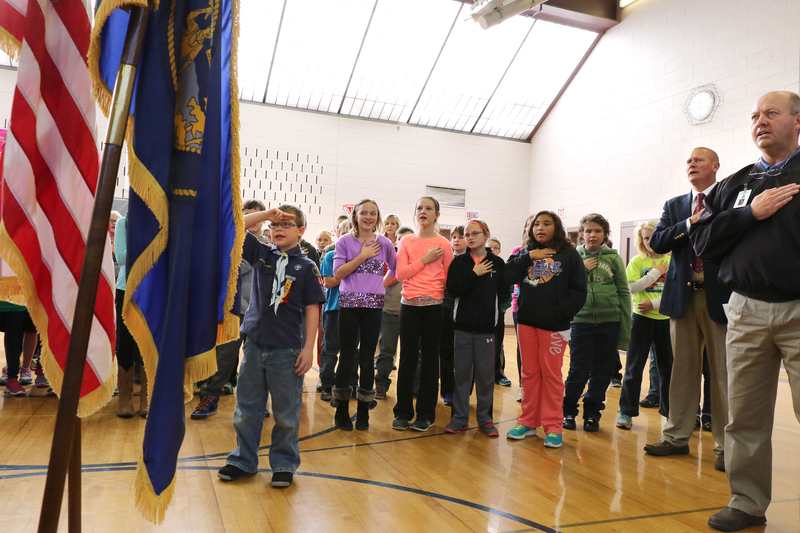 Fifth grader and Cub Scout Sam Dowdy leads Arbor Park Intermediate School in prior to the school’s Veterans Day ceremony. At right, Principal Mike Janssen and teacher Norm Svobodfa join in. Svoboda is also a veteran who served in the Army National Guard for 12 years. 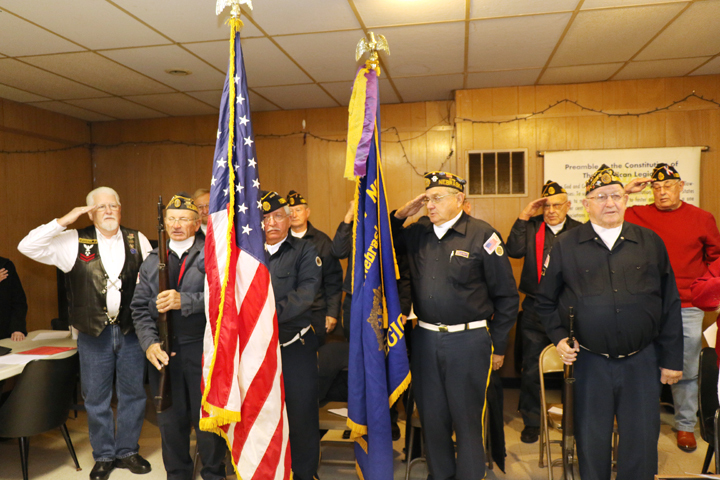 American Legion-Jackson Peck Post 274 color guard salutes during singing of the Star Spangled Banner. 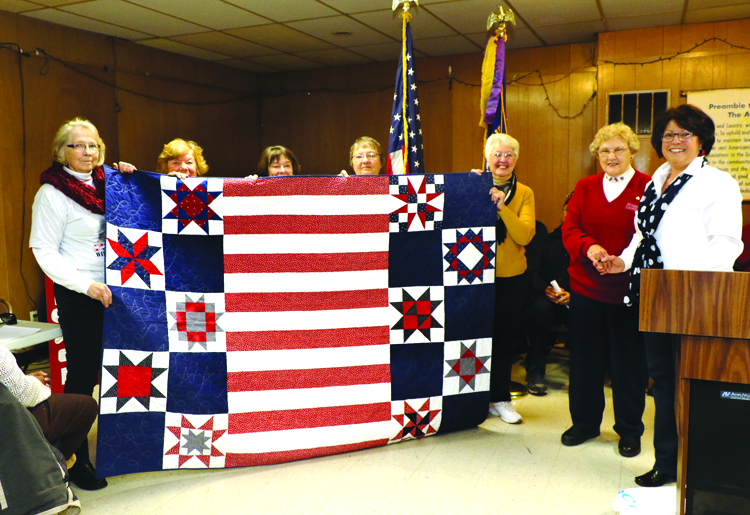 Jill Vacek at podium and quilters from left, Myrna Vercruysse, Laura Shaw, Katy Adams, Diane Stier and Betty Lunn present Pat Hunsche with a Quilt of Valor for her service to her country and to Washington County Veterans groups. 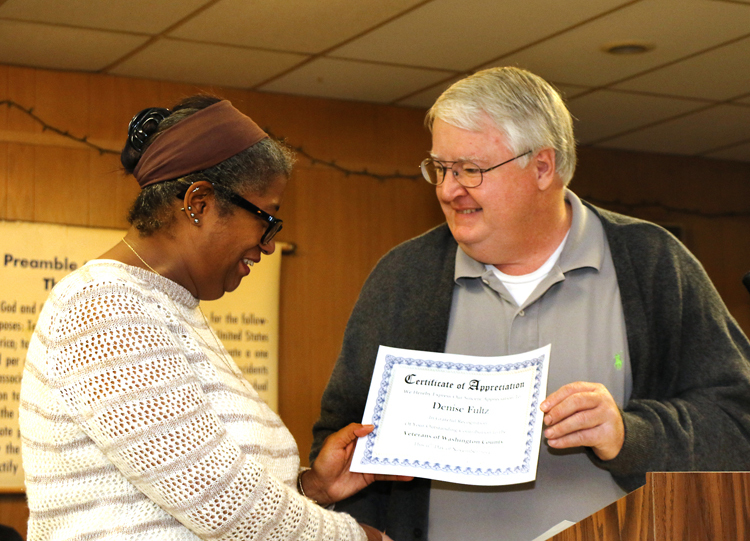 Washington County Veterans Services Officer Dennis Cordle presents Denise Fultz with a Certificate of Appreciation for her outstanding service to veterans. 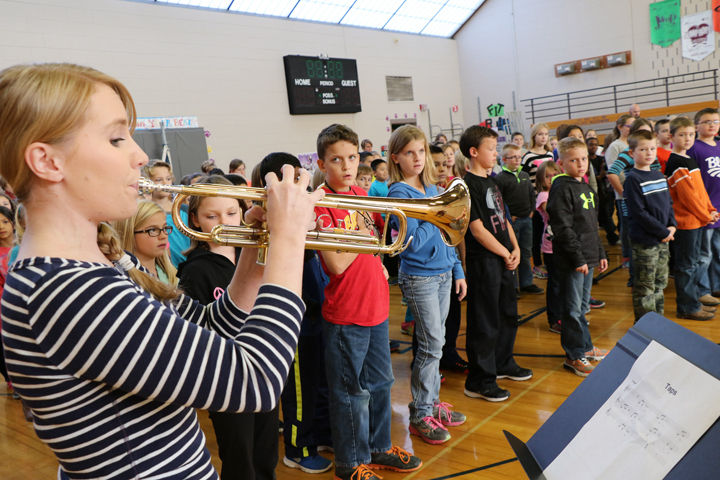 Instrumental Music teacher Courtney Baker plays taps at the Arbor Park Veterans Day ceremony.